Myant, based in Toronto, Canada, claims to be the world's only vertically integrated textile computing company. 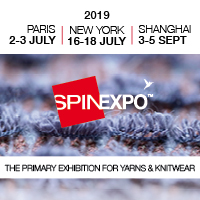 It specialises in the design, development and production of wearable and connected textile products, and carries out extensive research and development (R&D), prototyping, testing, and full production of textile computing components and finished products. As a result of its efforts, the company boasts a number of proprietary technologies—including textile-based biometric sensors, flexible electroluminescent materials, heating technologies, and neuro-orthotic technologies—which can be used in several applications. Furthermore, it has successfully developed a direct-to-consumer platform of smart clothing products called SKIIN, which it plans to launch in 2019. Myant recognises the importance of collaboration, and works with universities, other research institutions and partners from several industries to offer its extensive expertise and access to its SKIIN platform and its Digital Textile Factory—which it established in partnership with the Germany-based knitting machinery manufacturer Stoll. This report provides insight into the establishment of Myant, and explores the company's research and development activities and innovations. In addition, it discusses the company's partnerships and its strategy for the future. The functional fabrics market is forecast to grow substantially in the coming years, and Myant believes that it is in a strong position to benefit from such growth.